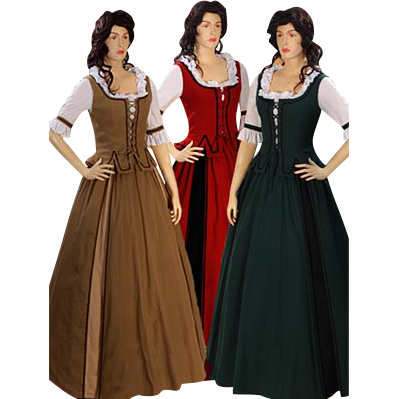 In the Country Peasant Ensemble, you will look just like a medieval serf might have, those hundreds of years ago. This stylish ensemble is made from quality materials and consists of three individual pieces, a bodice, a skirt, and a chemise. The bodice and skirt are made from 100% cotton, while the chemise is made from cotton batiste. The ensemble comes in a variety of different colors and combinations. 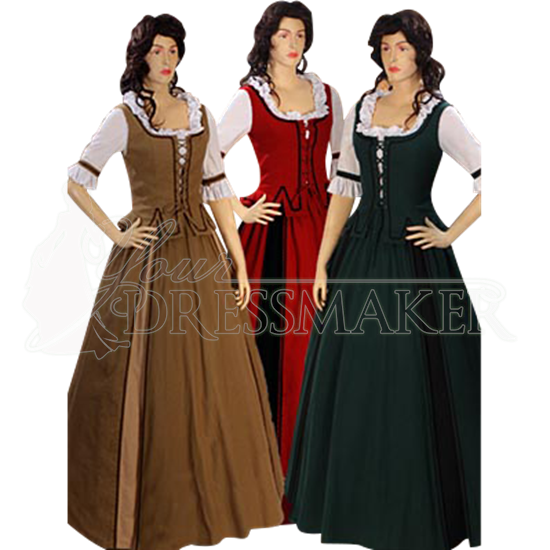 The basic color determines the color of the bodice and the skirt (the chemise is always white), while the accent color determines the color of the panels that decorate the skirt. The bodice is sleeveless, while the chemise has half-length sleeves that are fitted to the arm and bound with ties just above the elbow. The neckline of the chemise is also decorated with white ruffles, which can be made visible over the neckline of the bodice. 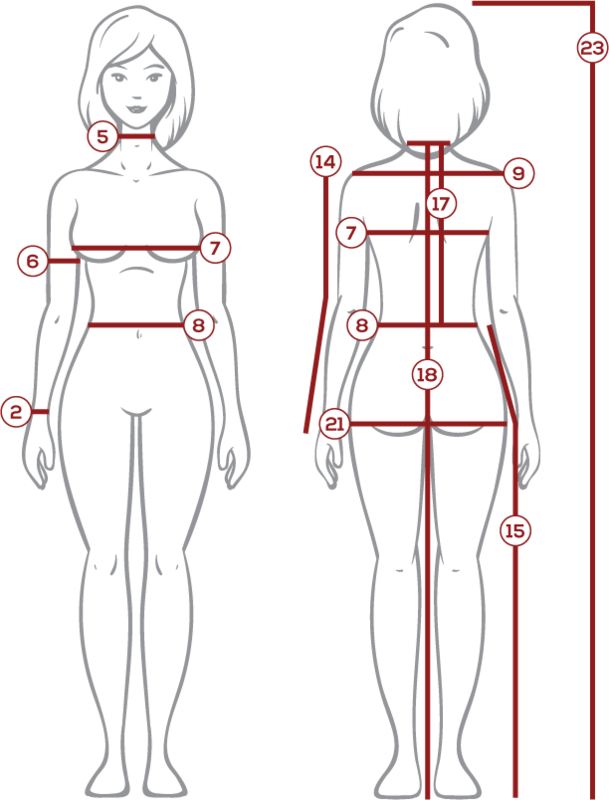 The bodice laces up the front, which allows for a measure of adjustability. 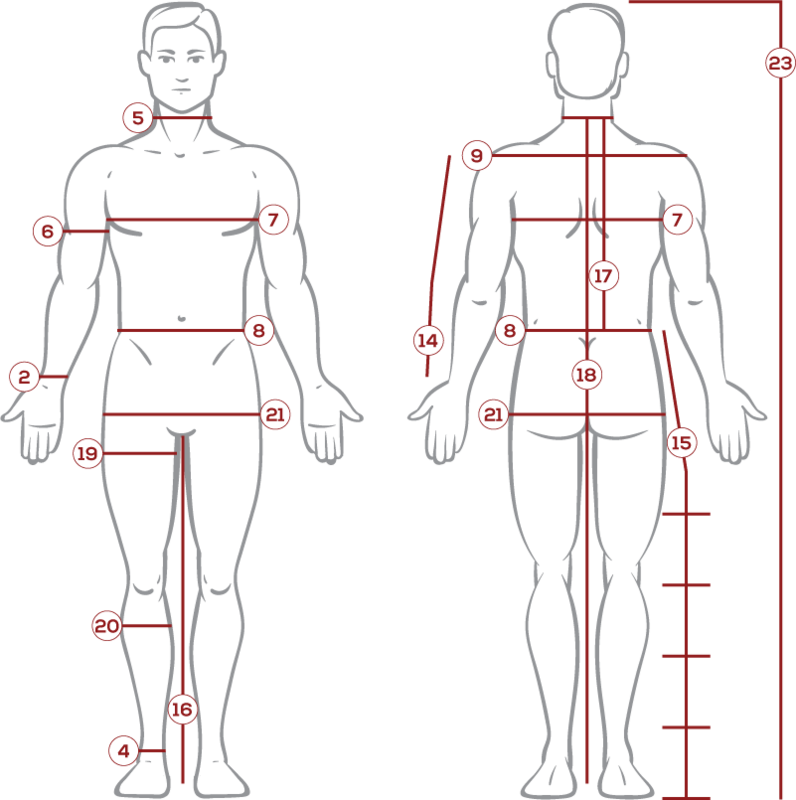 It can be loosened or tightened and made to fit virtually any body-type. In the picture above, a petticoat was used to give the skirt its shape. A petticoat is not included with the ensemble. If you want your skirt to hold its shape like the picture above, then a petticoat or hoop-skirt can be purchased separately. The ensemble can also be worn without one of these accessories, in which case the skirt will just fall loosely around the wearers legs. The Country Peasant Ensemble is a beautiful outfit that stands apart from your typical nobles attire, as it is beautiful not because it is decorated and highly elaborate, but because it is simple, lovely, and masterfully made. I really like it. The skirt has a zip in the back, but ii is not visible. The color bands for the blouses arms come off, so if you don't want to use them it's easy. I'm very happy with it. 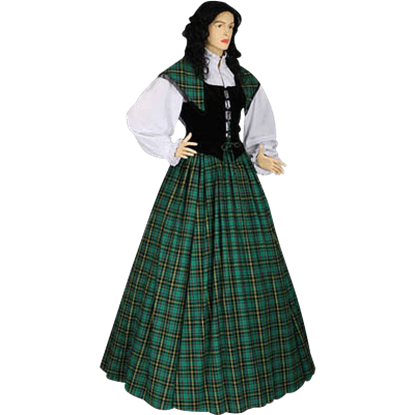 The Traditional Scottish Tartan Ensemble is a beautiful four-piece dress set that is modeled after medieval clothing and traditional Scottish garb. The ensemble is made from high-quality materials and is great for a variety of events.